IS CERTIFIED PRE-OWNED NISSAN VERSA PRICING IN FORT LAUDERDALE, FL WORTH CONSIDERING? One of the biggest perks of buying a certified pre-owned Nissan in Fort Lauderdale, FL, is the assurance of quality. Cars must pass a very specific set of criteria to pass as CPO. 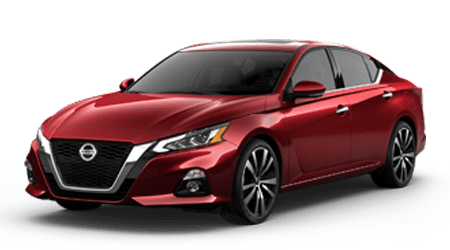 The certified pre-owned criteria is a little different for each manufacturer, but they all require that the car be a late model, have low mileage, and have a clean history report. This means you never have to worry about whether or not your car has been in an accident before because if it was, it wouldn’t earn a certified pre-owned stamp. Along with having a list of strict criteria for CPO cars, auto manufacturers also put each car through various multi-point inspections. A certified pre-owned vehicle undergoes anywhere between 100-200 individual inspections before going to the dealership. The inspections include replacing and fixing any issue that occurs to ensure that the vehicle meets CPO standards. So, if you buy a certified pre-owned Nissan Versa in Fort Lauderdale, FL, you can rest assured it’s in the best condition possible. The pricing of a certified pre-owned Nissan Versa is definitely more expensive than used cars, but the low-interest financing makes up for it. CPO vehicles often qualify for low-interest loans similar to or equal to what you can get for a brand new car. Low-interest financing means much lower monthly payments, which makes the slightly higher cost much easier to deal with even on a small budget. Needless to say, choosing a certified pre-owned Nissan Versa is a great option if you want to enjoy the perks of a newer car with much lower pricing. CPO cars are generally much safer when compared to used cars, yet they are still more affordable than buying new. Other perks include free maintenance and extended warranties. If you want to learn more about Nissan Versa pricing or our certified pre-owned cars, visit Performance Nissan today. We have some of the best prices near Fort Lauderdale, FL.